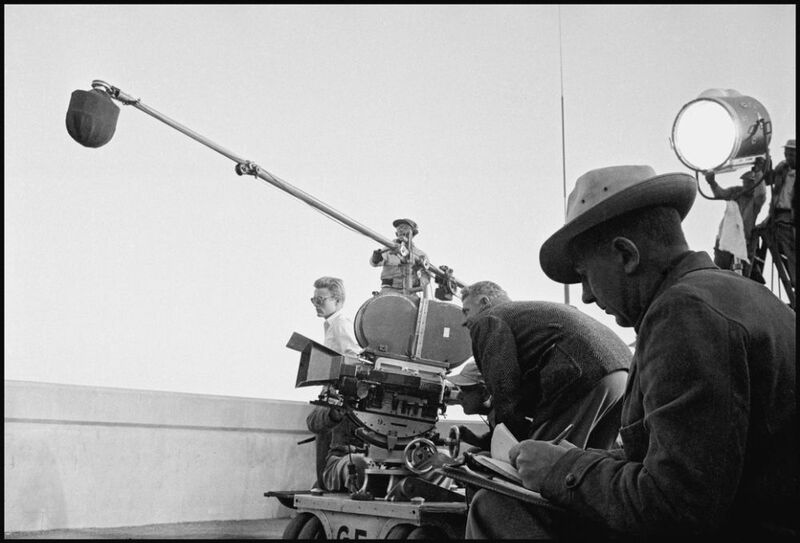 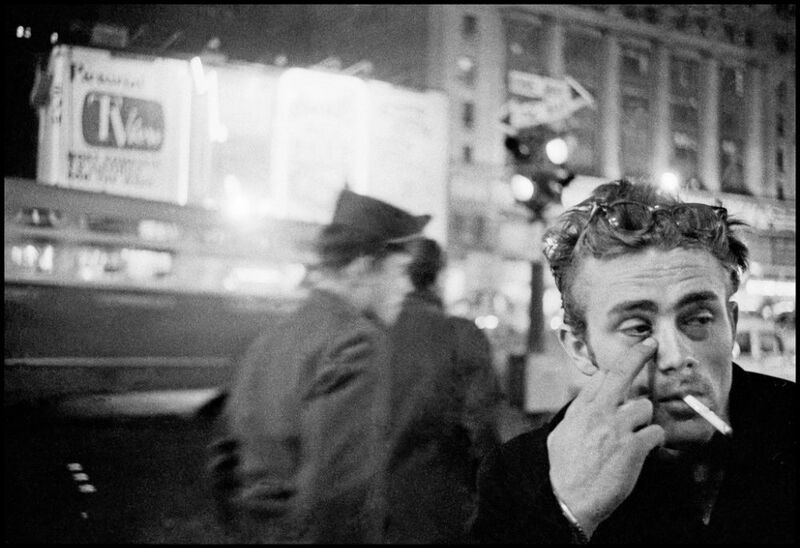 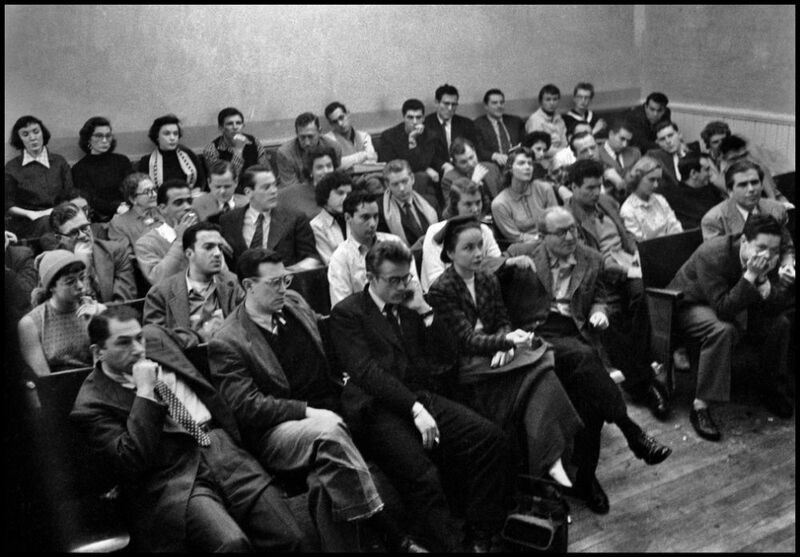 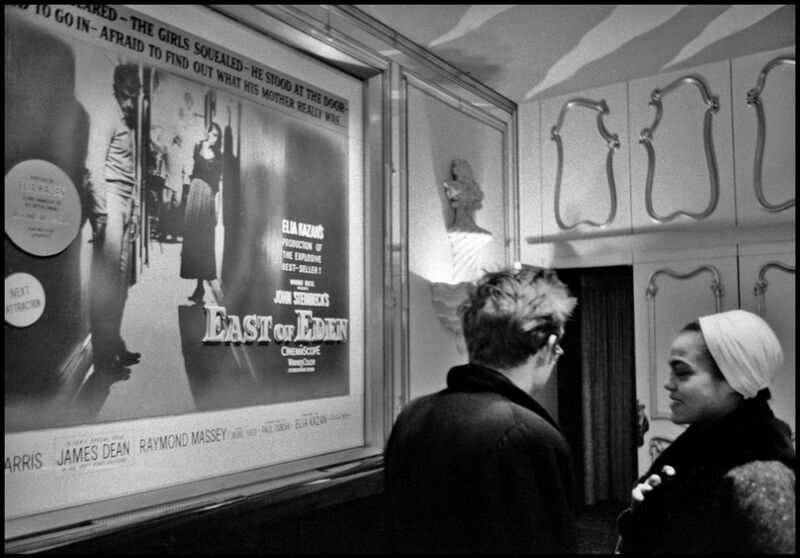 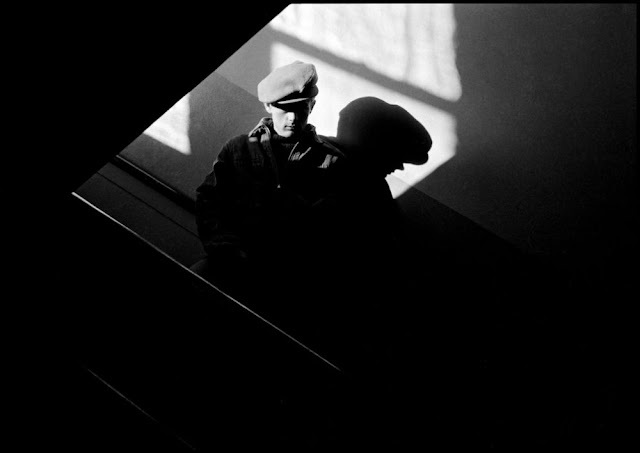 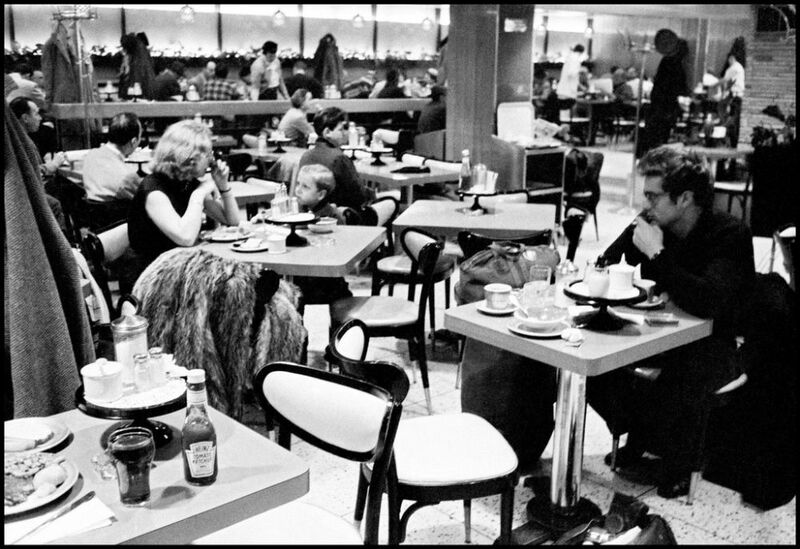 When Dennis Stock attended a screening of James Dean's first film, East of Eden, he knew he wanted to photograph him. He sensed that this charismatic young actor would soon join Marlon Brando and Paul Newman as one of the major film stars of his generation. 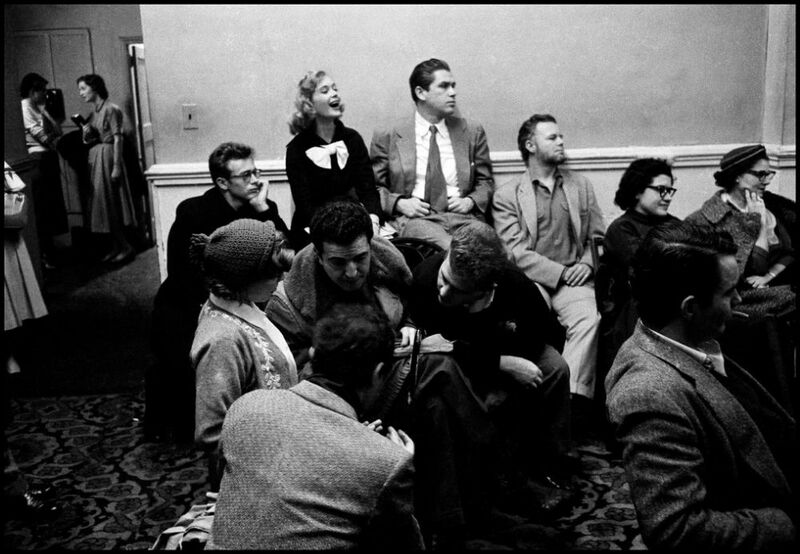 Stock, who had met Dean at a Hollywood party in January 1955, asked him to be the subject of a photo essay. Dean, who was not yet famous, readily accepted the invitation. 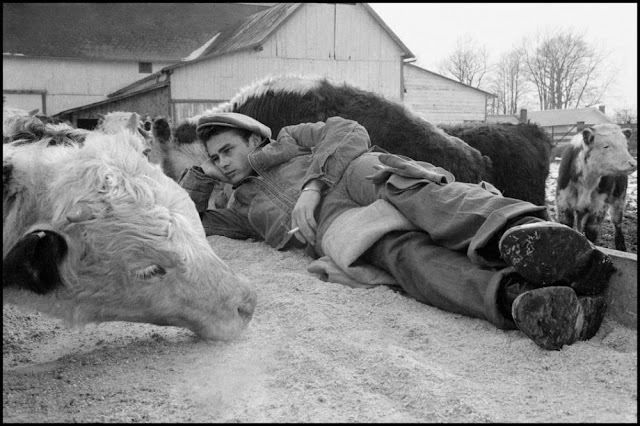 Stock then approached LIFE magazine with the idea and within a week the assignment was agreed. 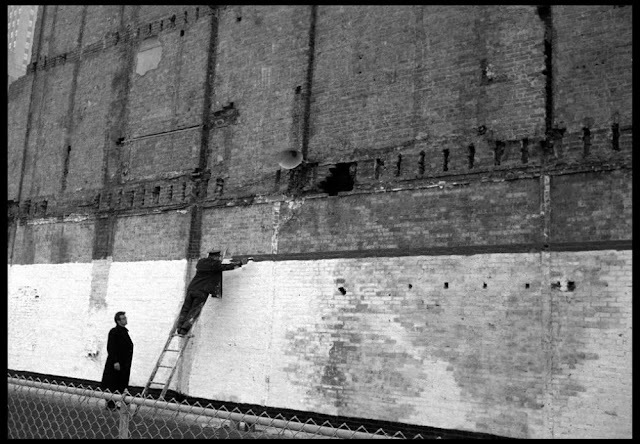 It took two months to complete. 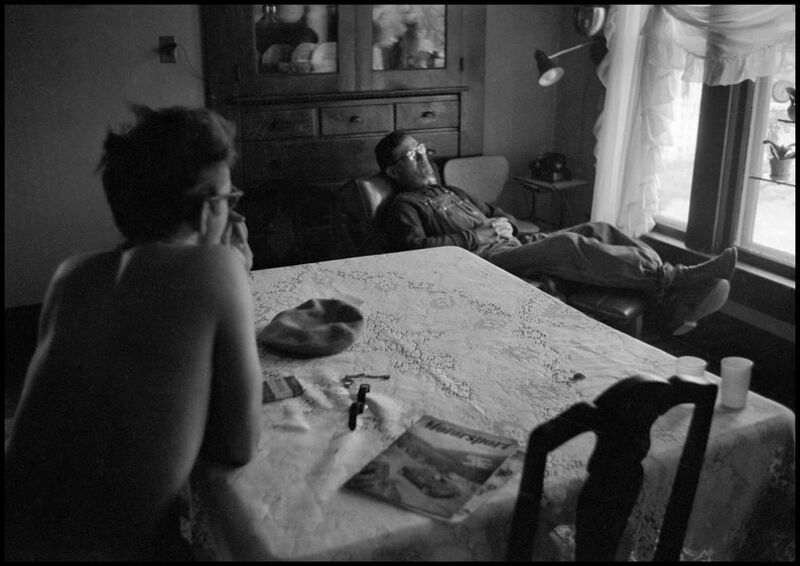 At the time, Stock was a 26-year-old photojournalist. 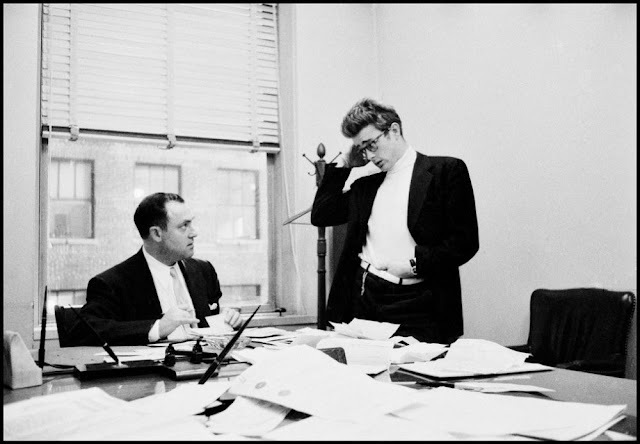 He had joined the Magnum agency in 1951 and became a full member in 1954. From the beginning of his career he had been mainly interested in producing a sequence of images that told a story about a given subject. In his photographs of Dean, he aimed to show a young movie star in both his professional and personal life. 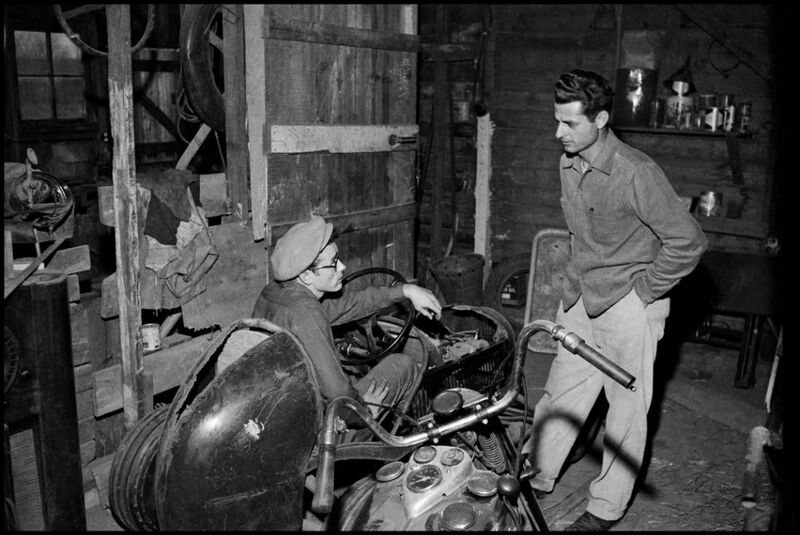 Stock's photographs showed Dean in various locations: at home with family members, in a classroom at his old school and in a pigsty at his uncle's farm. In one bizarre sequence, Dean was shown posing in an open coffin at a local funeral parlor. 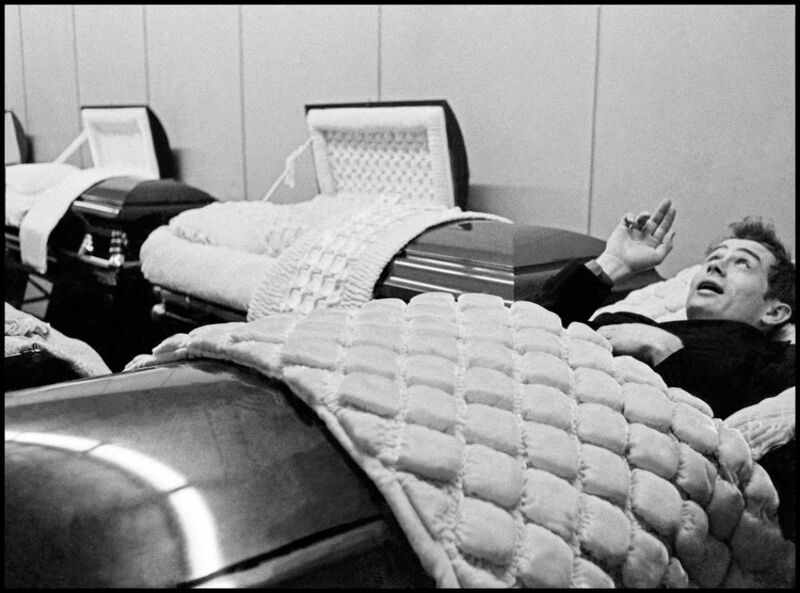 The pictures were intended to be darkly amusing but now seem strangely prophetic; seven months later, Dean was dead. 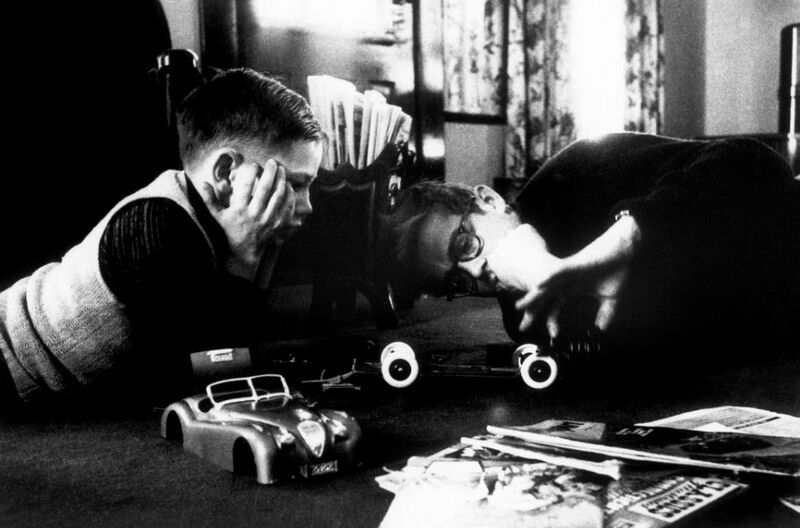 James Dean and his young cousin Markie play with a model car, Indiana, Fairmount, 1955. 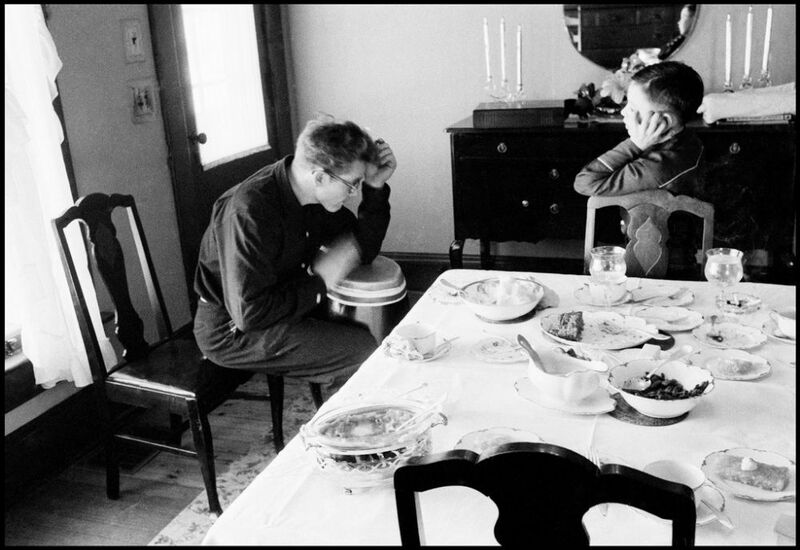 Playing drums in the presence of Markie, 1955. 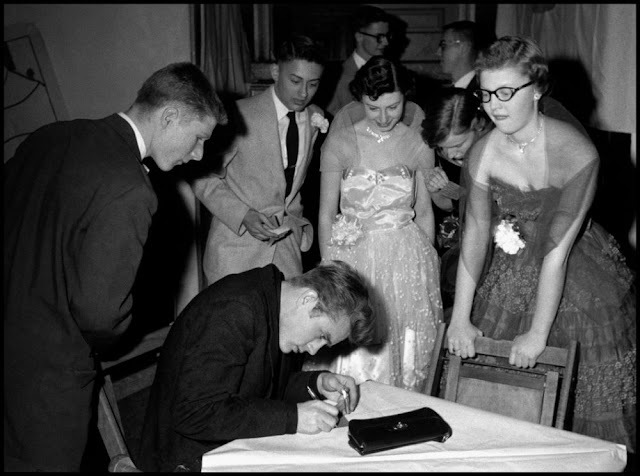 James DEAN signs autographs during Sweethearts Ball at his old high school, Fairmount, Indiana, 1955. 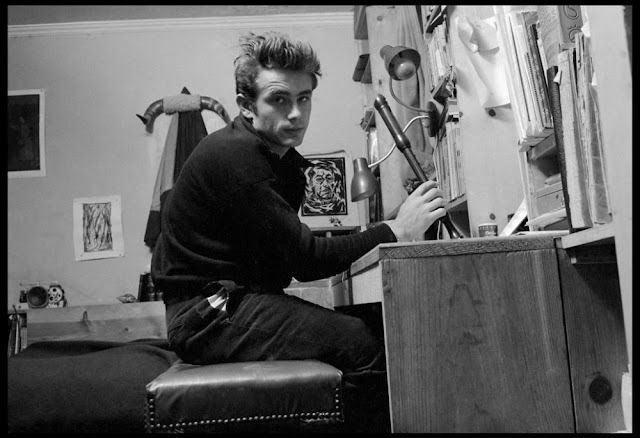 In 1955 James Dean returned to his roots, the town of Fairmount where he was raised and educated. 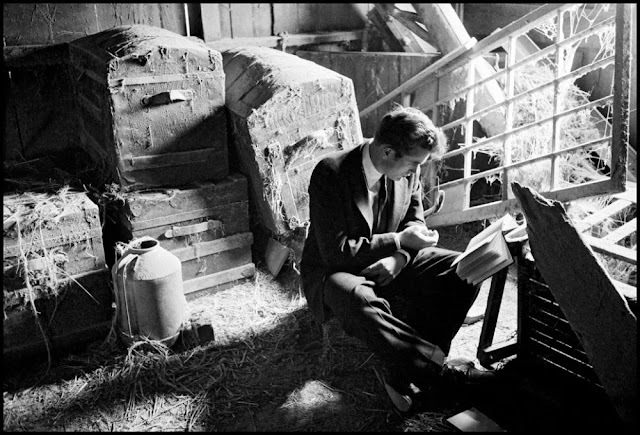 He visits the farm of his uncle Marcus Winslow, and in the dining room reads some poetry by James Whitcomb Riley. 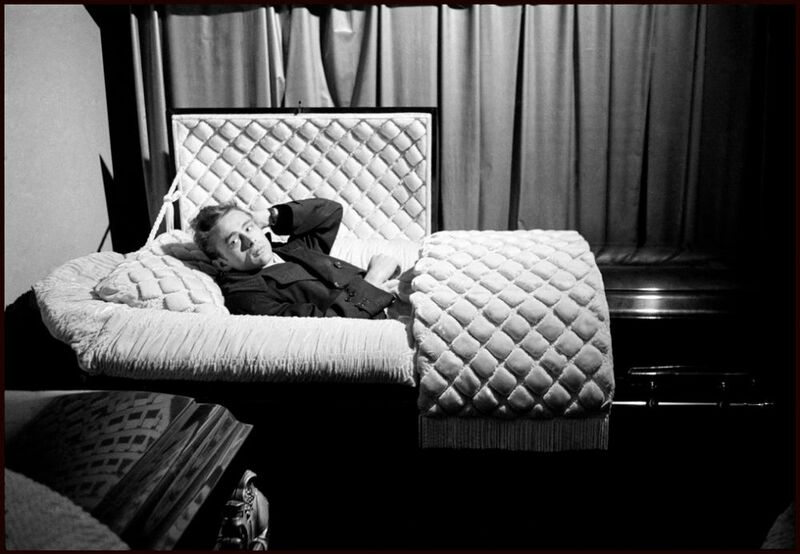 James Dean posing amusingly in a casket in a funeral parlour, seven months before he died, Fairmount, Indiana, 1955. 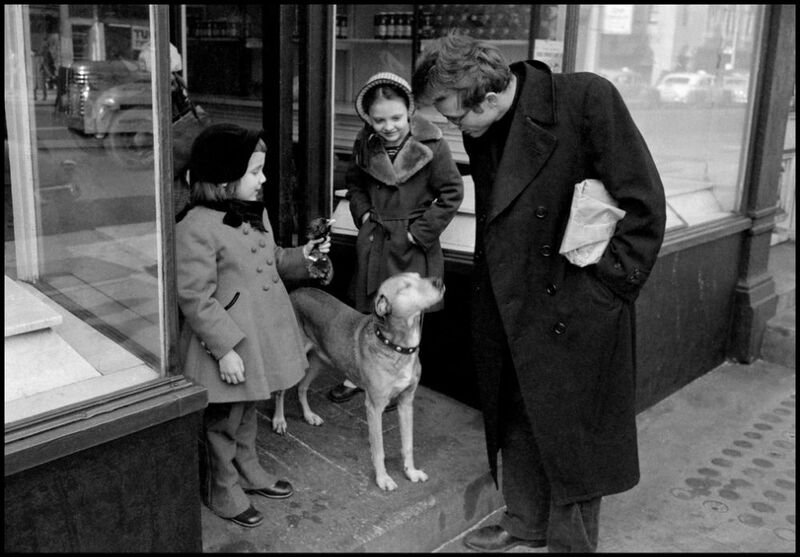 A little girl shows James Dean a pheasant head, 1955. 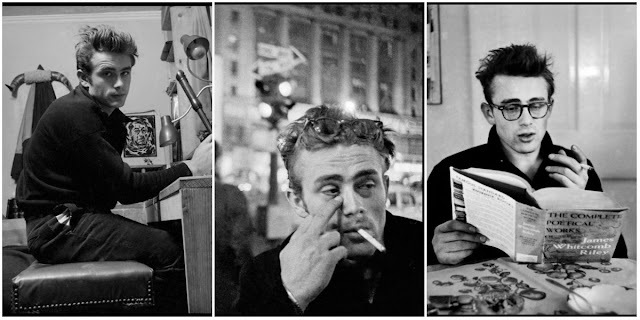 James Dean flying back to California for the shooting of "Rebel Without a Cause," 1955. James Dean at Lee Strasberg's Actor's Studio, New York City, 1955. 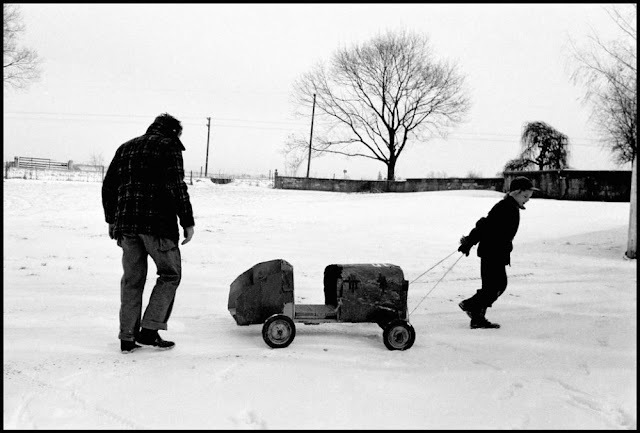 James Dean pushing his cousin Markie in his soap box derby racer in the yard, Fairmount, Indiana, 1955. 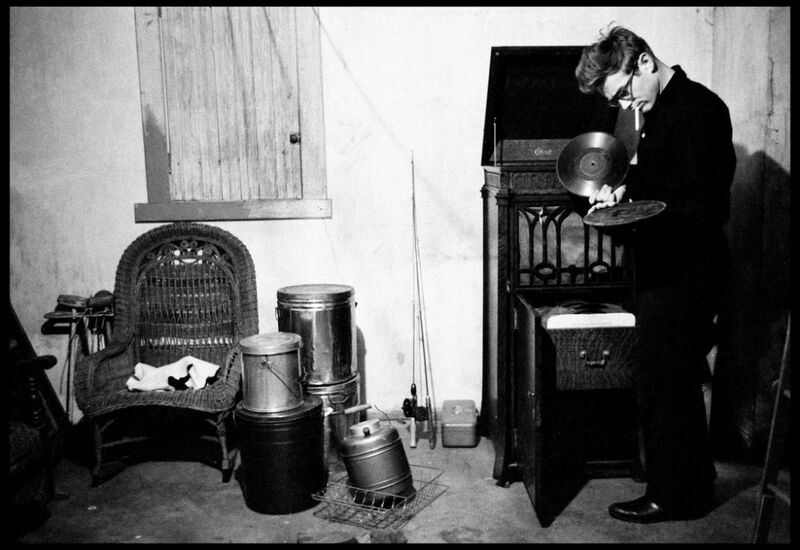 James Dean in the old school house, Fairmount, Indiana, 1955. 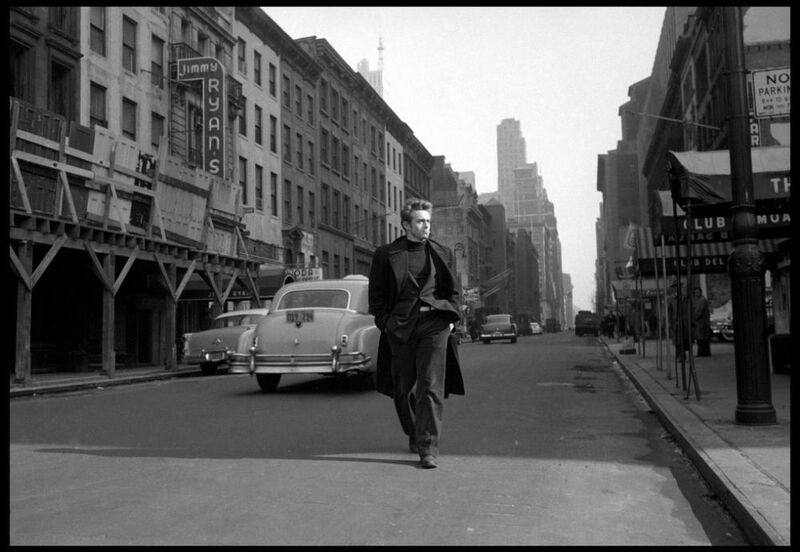 James Dean in midtown, New York City, 1955. 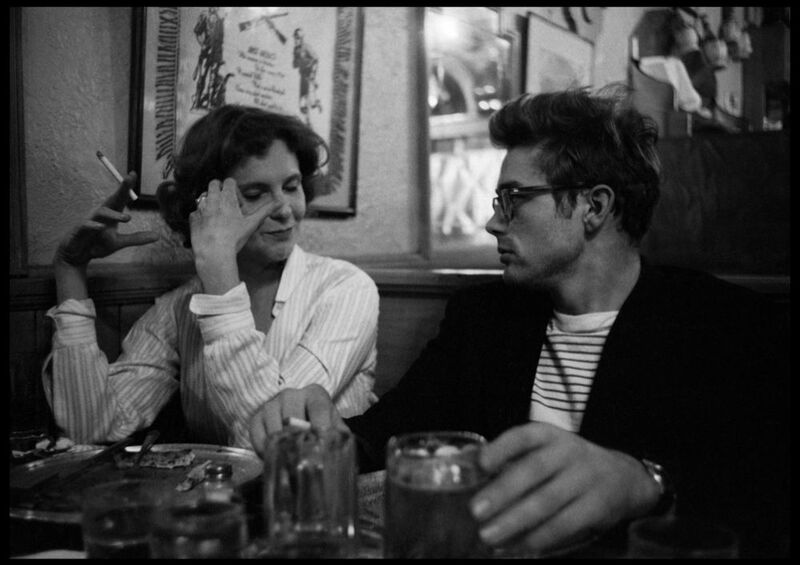 James Dean with Geraldine Page at a bar, New York City, 1955. James Dean in Fairmount, Indiana, 1955. 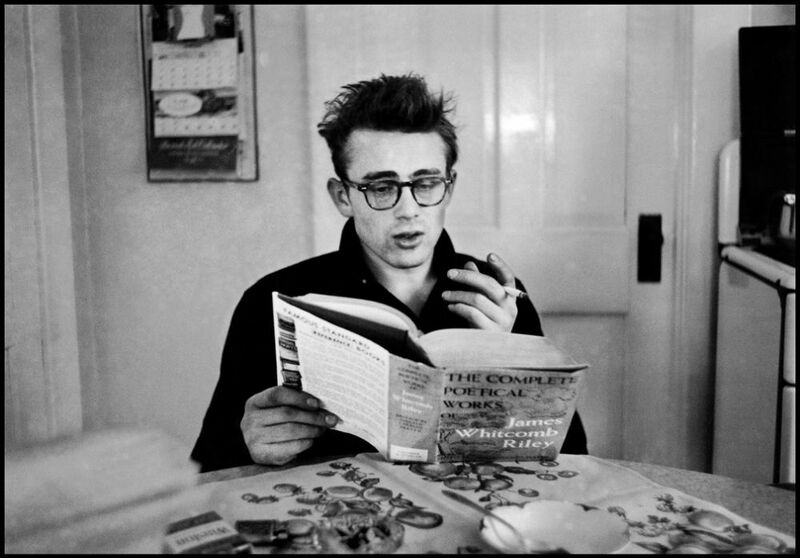 James Dean in his apartment on West 68th Street, New York City, 1955. 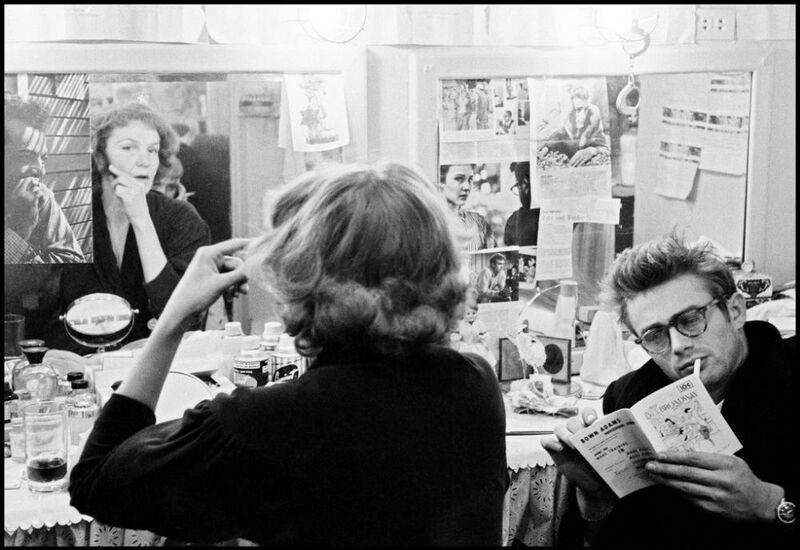 James Dean with Eartha Kitt, New York City, 1955. James Dean with his cousin Markie, Fairmount, Indiana, 1955. James Dean in the office of his agent, Jane Deacy, New York City, 1955. 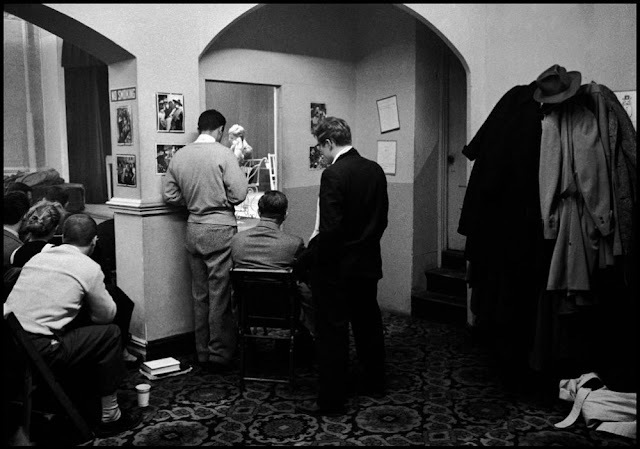 James Dean in Geraldine Page's dressing room, New York City, 1955. 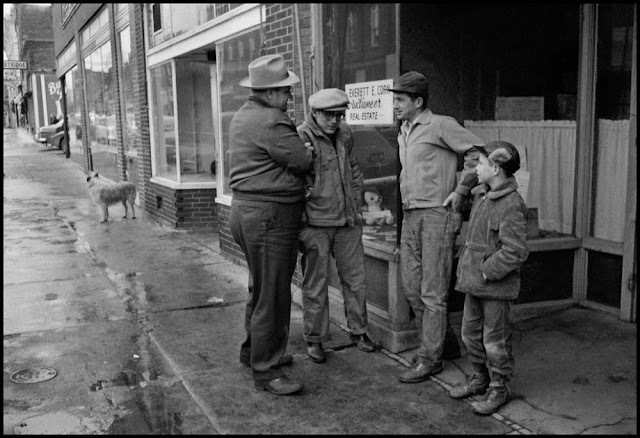 James Dean talking to the locals, Fairmount, Indiana, 1955. James Dean in his aunt and uncle's basement, Fairmont, Indiana, 1955. 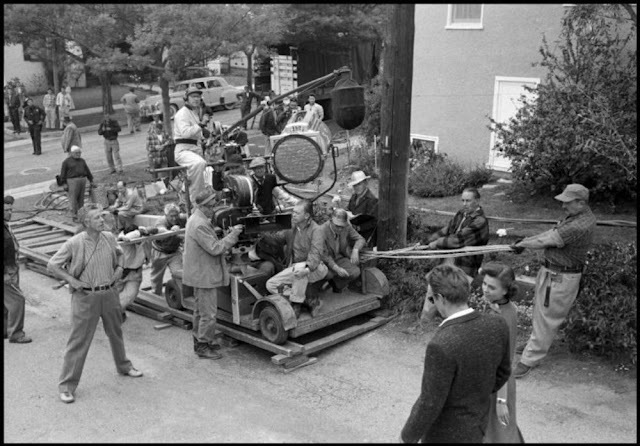 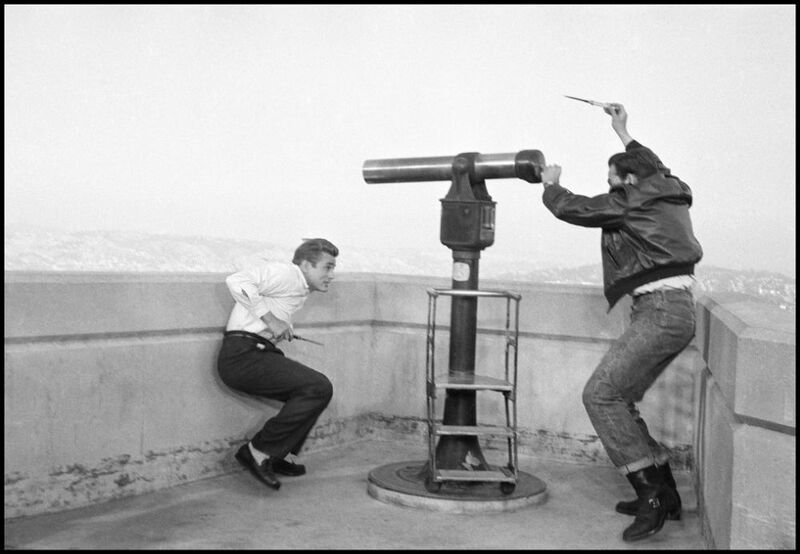 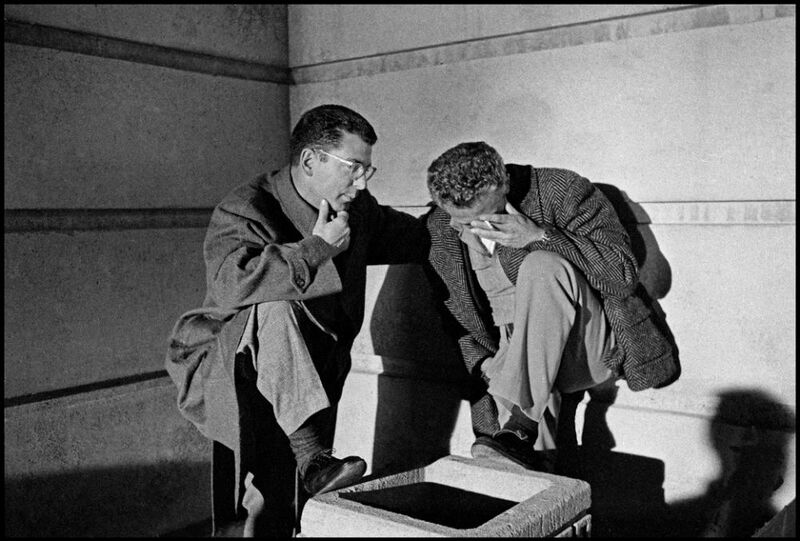 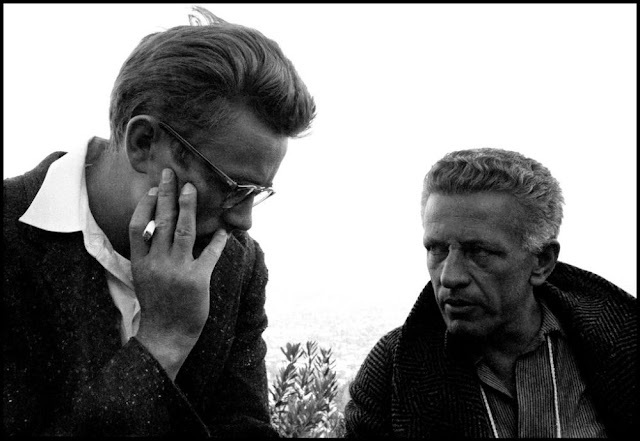 James Dean and director Nicholas Ray during the filming of "Rebel Without a Cause," California, 1955. James Dean during the filming of "Rebel Without a Cause," California, 1955. James Dean spent his youth on the farm of his uncle Marcus Winslow, where he loved to mix with the animals in the barnyard, to explore and perform in the cattle pens and barns, Fairmount, Indiana, 1955. 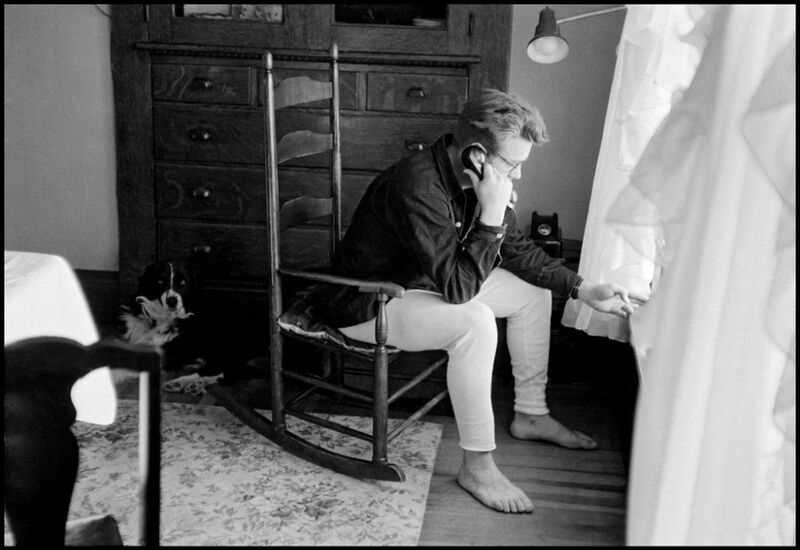 James Dean in Fairmount, Indiana. 1955. 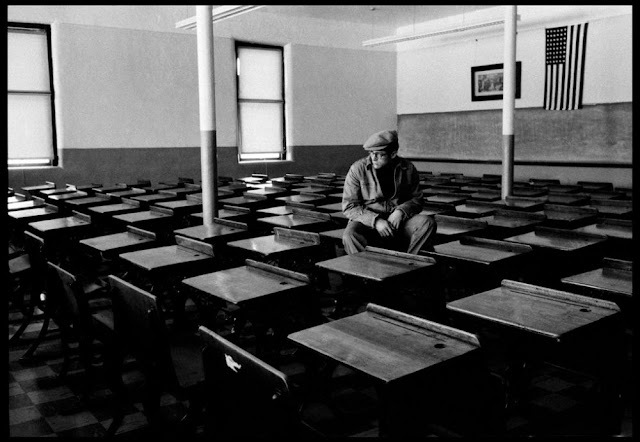 James Dean in his former schoolroom, Indiana, Fairmount, 1955. 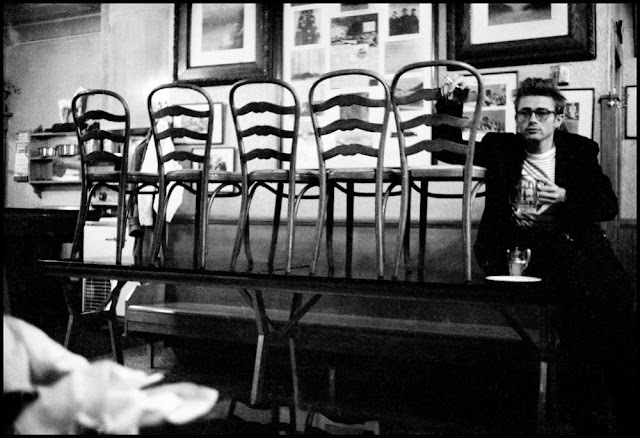 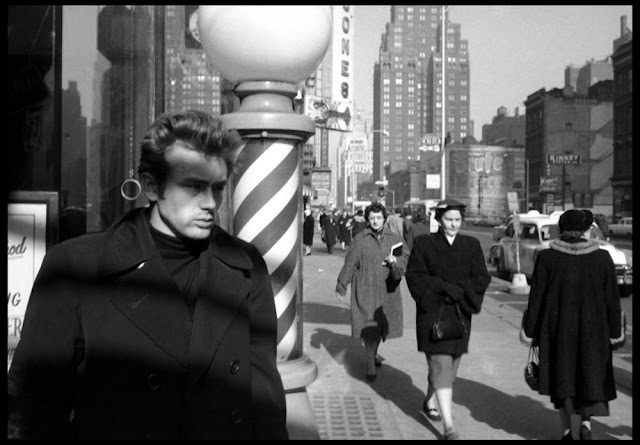 James Dean in Manhattan, visiting some of the places he knew when he as a student, New York City, 1955. 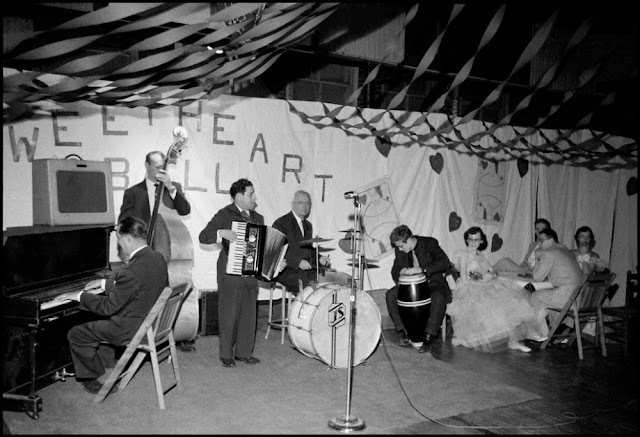 James Dean playing bongos at the Sweethearts' Ball at his old high school, Fairmount, Indiana, February 14, 1955. 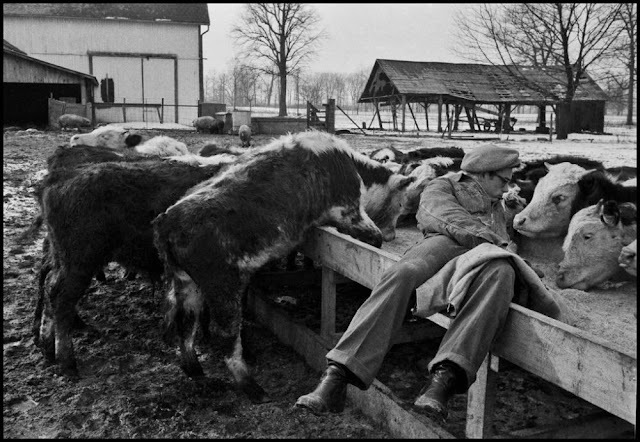 James Dean with cattle, Fairmount, Indiana, 1955. 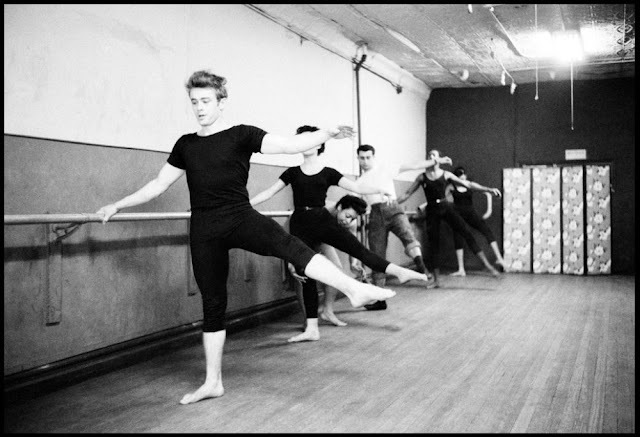 James Dean attending a dance class by katherine Dunham, 1955. 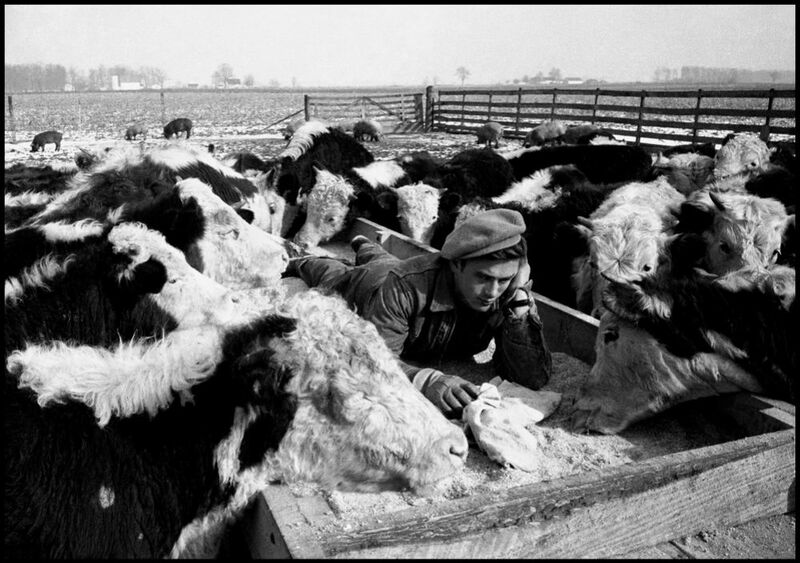 James Dean amongst the cattle, 1955. 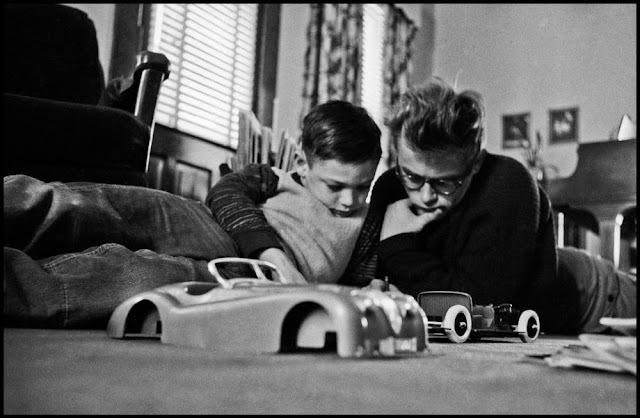 James Dean Discussing old racing, 1955. 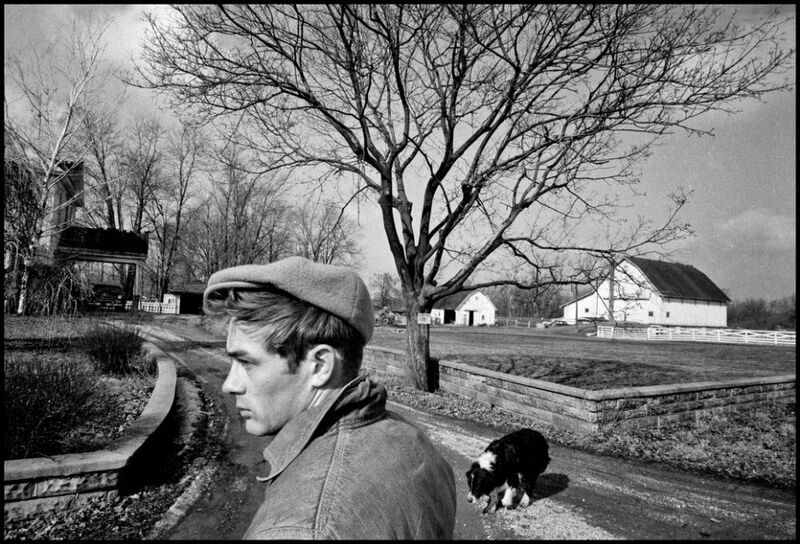 James Dean in the driveway to the farm owned by his uncle, Marcus Winslow in Fairmount, Indiana, 1955. 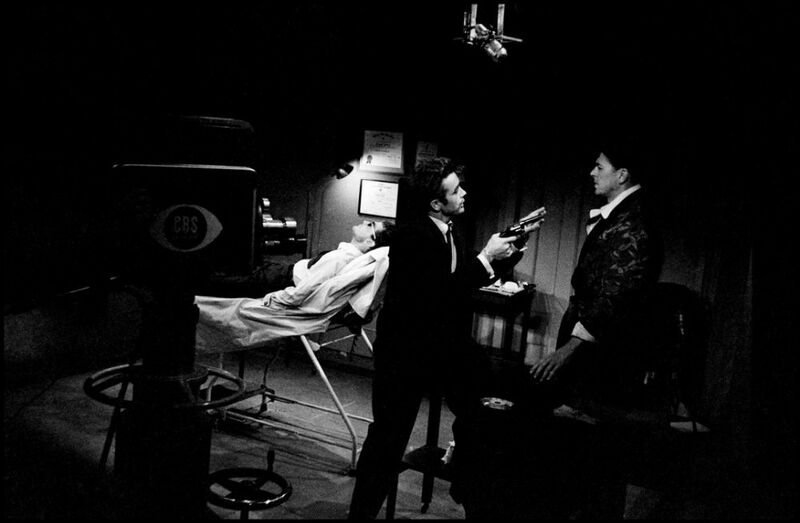 James Dean acting with Ronald Reagan in a TV drama, 1955. 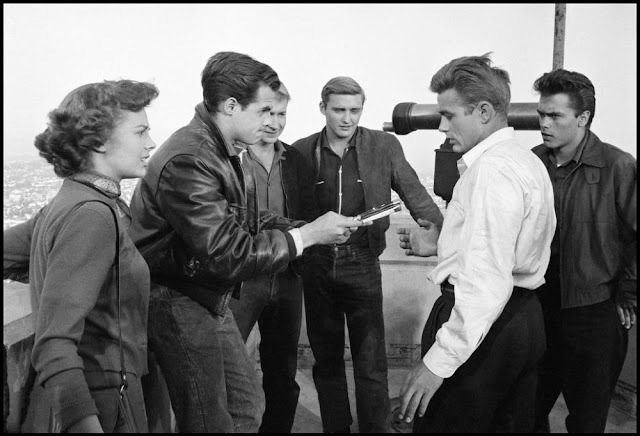 James Dean during the filming of "Rebel Without a Cause," 1955.